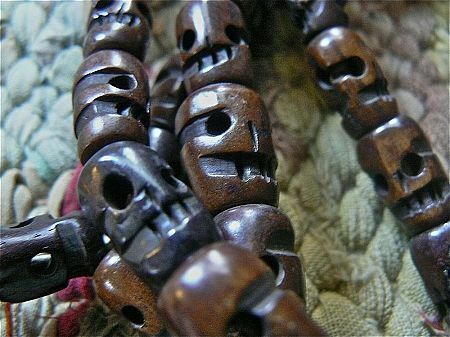 These wonderfully dark carved bone skull bead malas come on a silk cord with 108 beads and a decorative tassel. 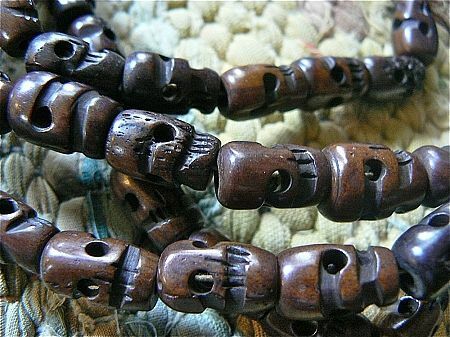 There is some size variation in these hand-carved dark bone skull beads - they range from 14-15mm in length and 7-10mm in width. 1-2mm hole. 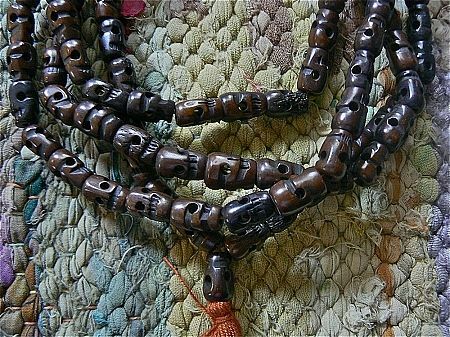 Used as a necklace it is long . 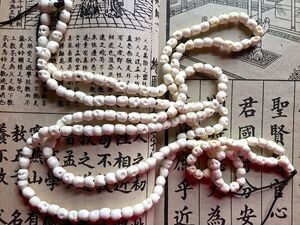 . . fits easily over the head and can be easily doubled for a layered necklace look. 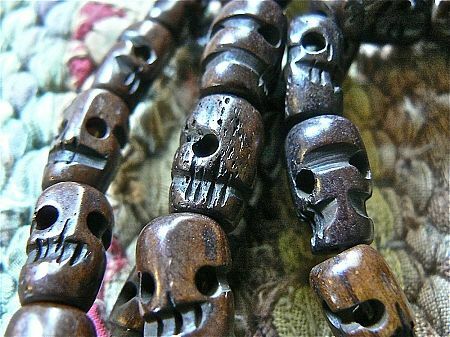 Use as is or take apart for a generous supply of these wonderful skull beads for all your jewelry projects. 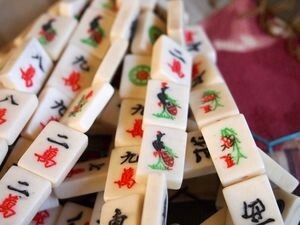 Drilled top to bottom so suitable for use in earrings, bracelets and of course, necklaces.